There is no denying the many dangers associated with smoking. According to the U.S. Centers for Disease Control and Prevention, tobacco results in the death of 6 million people worldwide each year. Additionally, for every tobacco-related death that occurs, another 30 individuals live with a smoking-related illness. "Tobacco kills 6 million people worldwide every year." The power of tobacco's addictive bent is the nicotine. Per the U.S. Department of Health and Human Services, nicotine is so effective because it causes the brain to release pleasurable bursts of adrenaline. Now, though, there is new insight into nicotine, one that might have huge implications for the rest of the non-smoking world. In a recent study in the Journal of Toxicology, a team of scientists found that nicotine could actually help prevent aging of the brain. This groundbreaking insight was the result of extensive work by a team from Texas A&M College of Medicine. For the experiments, a group of laboratory mice were given drinking water laced with nicotine at three doses: low, medium and high. Not only did the mice who received the highest level of nicotine avoid key side effects (mostly anxiety), but they lost weight and consumed much less food. But perhaps most important of all, the high-dose mice had elevated levels of the nicotinic acetylcholine receptor, or nAChR. According to Scholarpedia, this is the protein receptor in the brain that responds to drugs like nicotine. The nAChR is also responsible for transmitting certain signals across the brain. 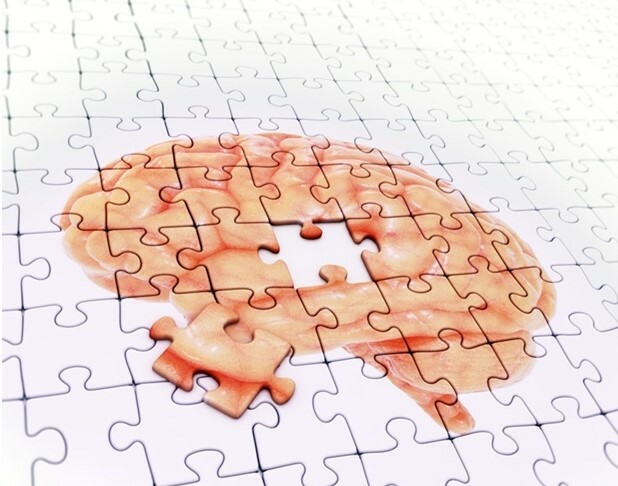 The Texas team pointed out that an abundance of nAChRs in the human brain may help prevent neurodegeneration, which causes conditions like Alzheimer's or Parkinson's disease or amyotrophic lateral sclerosis (aka Lou Gehrig's disease). In an accompanying press release, lead author Dr. Ursula Winzer-Serhan explained that there is still plenty of research left to do, as the team doesn't understand what about nicotine aids with neurodegeneration prevention. Still, the results of these studies are nonetheless promising in helping us to reconsider the use of nicotine. "Even if these weren't very preliminary results, smoking results in so many health problems that any possible benefit of the nicotine would be more than canceled out," Winzer-Serhan said. "However, smoking is only one possible route of administration of the drug, and our work shows that we shouldn't write-off nicotine completely." "Long-time smokers have a much lower risk of developing Parkinson's disease." While Winzer-Serhan's team still has work ahead of them, this isn't the first study or research project to highlight the upsides of nicotine usage. According to the American Academy of Neurology, smokers have anoticeably lower risk of developing Parkinson's. In fact, people who smoked for long periods of time were 44 percent less likely to develop the condition. In March 2014, Discover Magazine went as far as to call nicotine a possible miracle drug. Not only is there animal data to prove it helps impede degeneration of the brain, but the chemical changes created can help people become faster, more effective learners and even to focus more efficiently. And though it's not definitive proof, clinical psychologist Anna Fels has encountered a patient who believes in the power of nicotine. In a March 2016 column for the New York Times, Fels explained that her patient described nicotine as "a key that fit perfectly into a lock," and it helped improve mood and energy levels as well as organize thoughts. All of this data doesn't suggest you go out and start smoking. Rather, it highlights that nicotine may have impacts we never thought of. Through continued study, we may find ways to improve people's lives in a safe and effective manner.